This may be a modern cocktail, but it has a classic style that is very refreshing. The Lady Liberty comes from the Living Room Bar & Terrace of the W New York - Downtown and was first found on their summer 2014 menu. What is most enjoyable about the Lady Liberty is that it mixes rum and orgeat -- a favorite tiki combination -- with both maraschino and Chartreuse, which rarely find a home with rum. The absinthe is there to add a punch that only absinthe can and completes the fascinating profile of the drink very nicely. It's an interesting cocktail and a nice exploration of flavors. 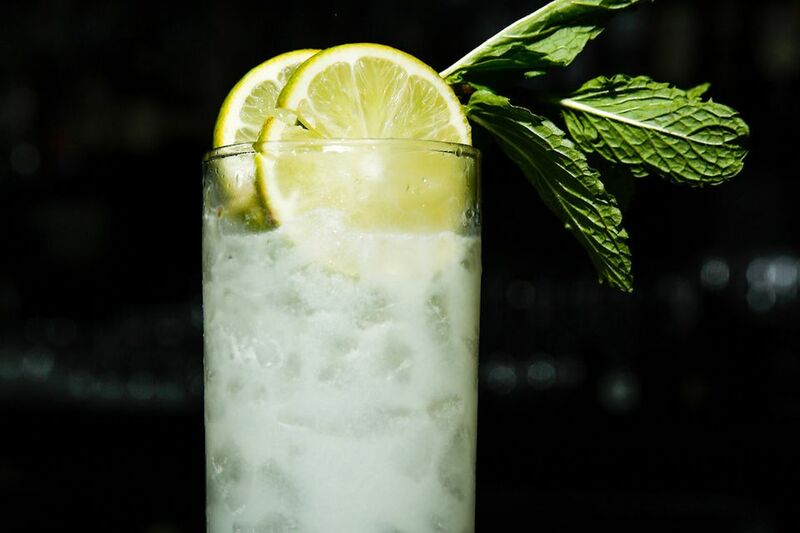 Strain into a highball glass filled with fresh ice.